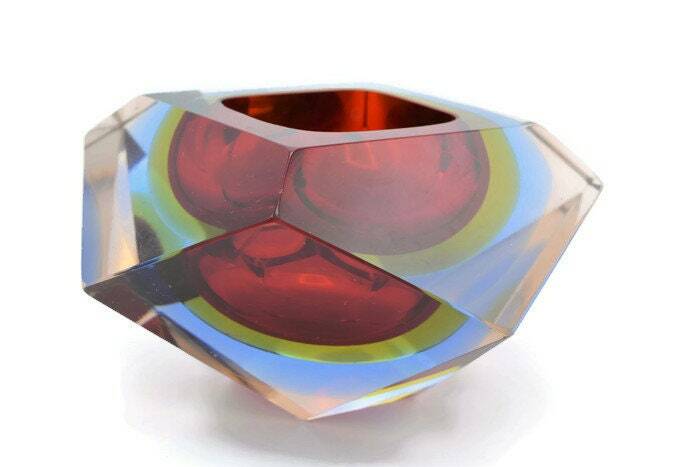 Great looking Murano Sommerso bowl, made in the late 60s by Flavio Poli or a similar artist. 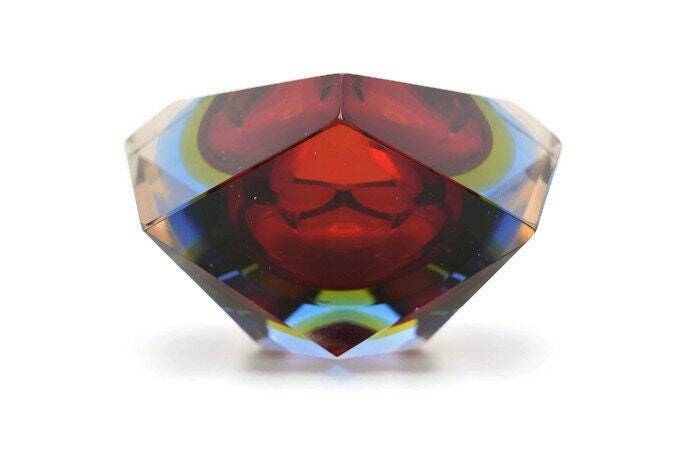 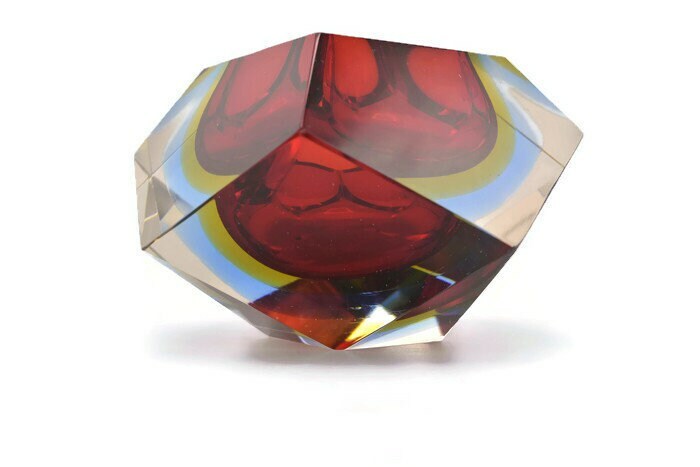 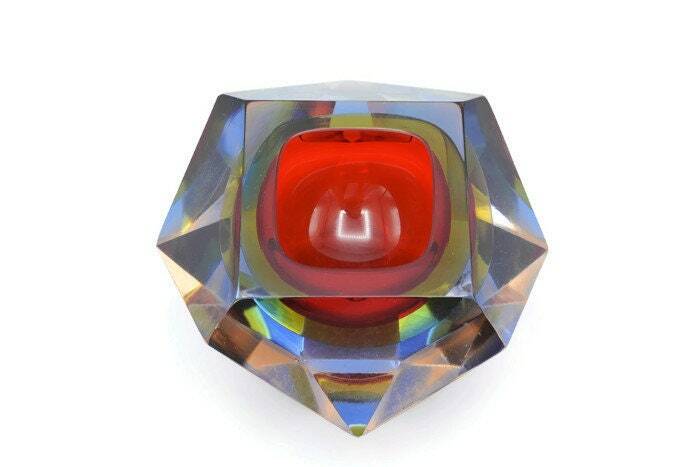 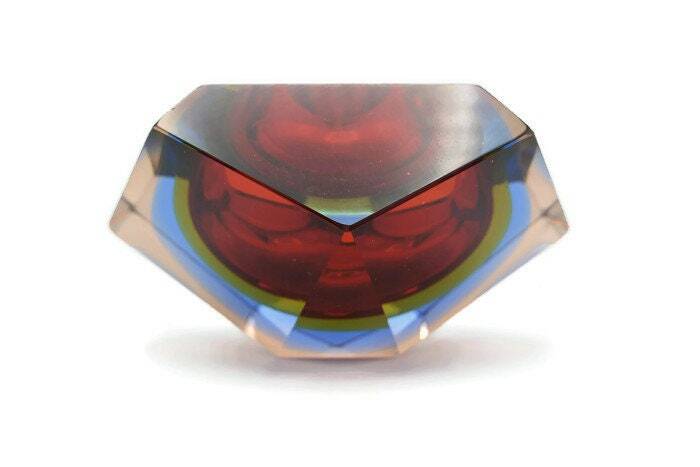 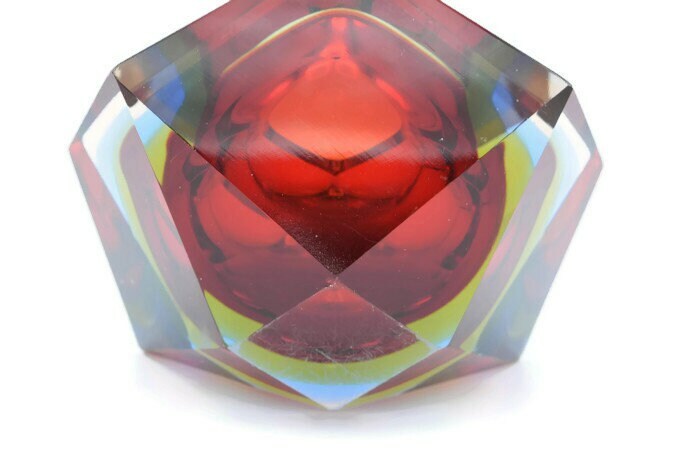 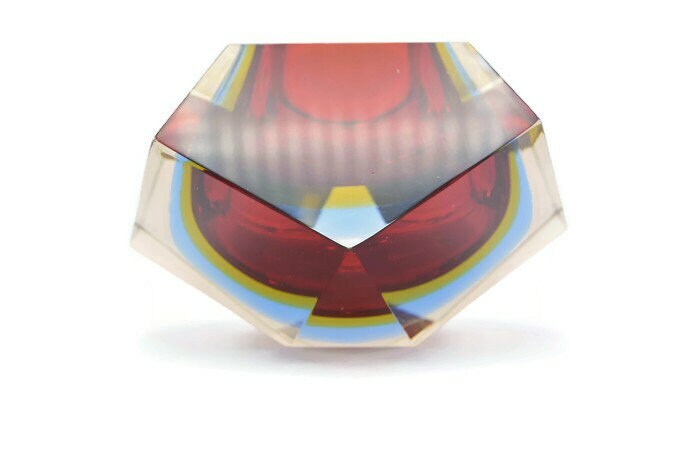 These are faceted, catch the light perfectly and look different from all angles. 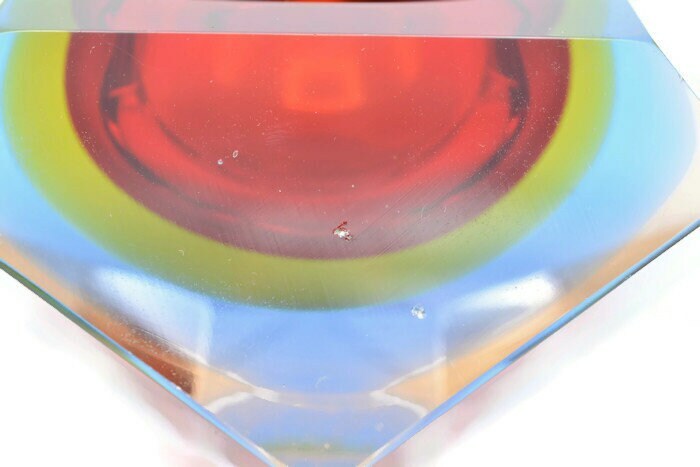 It has a few dents like the ones you can see in the last picture.